A lot goes into planning your wedding day and we understand how stressful it can be. Even if you have a wedding planner or an enthusiastic mother or sister, getting all the details in order can be a daunting task. In order to help you along your journey, we have narrowed down the top wedding photography tips you should follow as a bride and groom. If you hire from the same company, the photographer and videographer will be working together in unison. Because of their training and familiarity from working together, they will be better able to anticipate each other’s movements and needs. You want your wedding photos and video to flow like a cohesive piece. If you hire both your photographer and videographer from the same company, you are ensuring a consistent style and quality. Using the same company for both photography and videography will save you time in the booking process. We like to keep things simple. One wedding, 2 services, one contract. You want to select your wedding photographer and videographer on their professionalism and artistic vision, and not on price alone. However, it never hurts to save money and when you book 2 services, a discount is possible. Everyone knows how important it is to create a timeline for your wedding day. However, most weddings run late for one reason or another. One of those reasons is that brides, grooms and even sometimes wedding planners do not schedule in enough time for the photos. If you are not sure how much time you should set aside for each portion of the day, click here for our suggested photo timeline. As your photographer we do our best to streamline the photography aspect of your wedding day. It is for this reason that we recommend couples minimize the number of photo locations throughout the wedding day. If you want to take your family formals and couples portraits over an hour away from your reception, we recommend that you reconsider and shorten that traveling time. A great photographer should be able to make almost any location work. 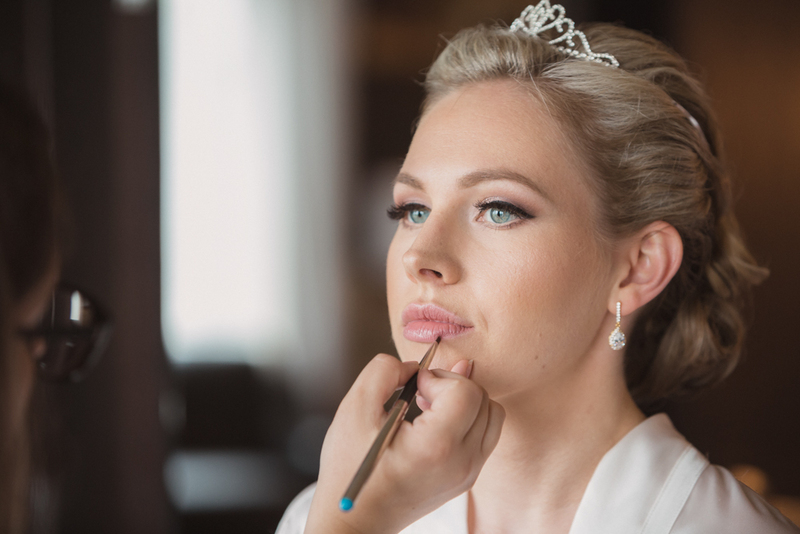 The day typically starts off with hair and makeup, and if delays happen here it can delay the entire wedding day. You do not need that kind of stress, so be sure to plan an ample amount of time for this portion of your day to ensure you are not rushing through the process. You want to make sure you get those beautiful preperation shots of the bride, groom, bridesmaids, groomsmen and families. Every bride will tell you, there is something about the moment you put on the vail that really makes you feel like a bride. While it is an increadibly personal choice whether or not to have one, we recommend for brides to not shy away from a long wispy piece of fabric that catches in the wind. Having a gorgeous long veil makes for some of the best photos! You can plan your day down to the “T”, but if you do not hire quality vendors your wedding day can easily go awry. That is why we strongly urge brides and grooms to put a lot of thought and care into their vendor selection. You would not want botched makeup, a photographer who shows up late, or a DJ who misplaced your playlist. 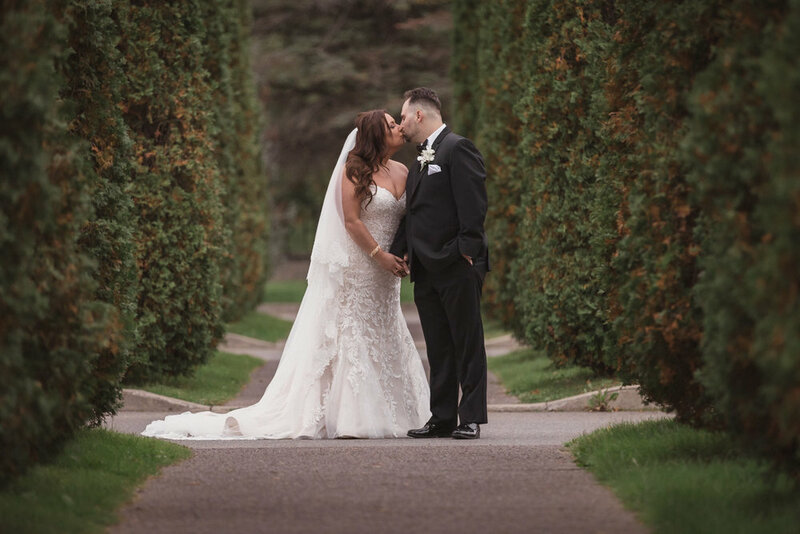 With so many vendor options available to Montreal brides, it may be overwhelming to determine the right companies for your big day. In order to facilitate the process, we have several companies to recommend to couples. Be sure to check them out by clicking here. We love doing first looks on the wedding day. They are often one of the most memorable moments between a bride and groom. Not only are they a great photo opportunity, but they have the added benefit of being a great way for couples who want to spend some quiet alone time before the hustle and bustle of the rest of the day. Traditionally, some couples do prefer not to see each other before the wedding ceremony. A first look is such an intimate and emotional experience though that we are positive if you decide it is for you, you will not regret it. Couples spend literally hundreds of hours and thousands of dollars planning their wedding. Deciding on a date and who to invite, picking out the dress and location, and choosing the vendors, it can all be a lot to handle. So come their wedding day, it is important for brides and grooms to remember that they need to relax and soak it all in. Let loose. Be silly. Laugh. Dance. Take cheesy photos. Create memories. It is your day and you deserve to enjoy it to its fullest! We hope you found these tips helpful. For more wedding tips, be to check out our blog.